Hi readers! I have already shared with you some ideas on how to create bohemian looks. In today's post I am going to continue my journey to the world of boho style. 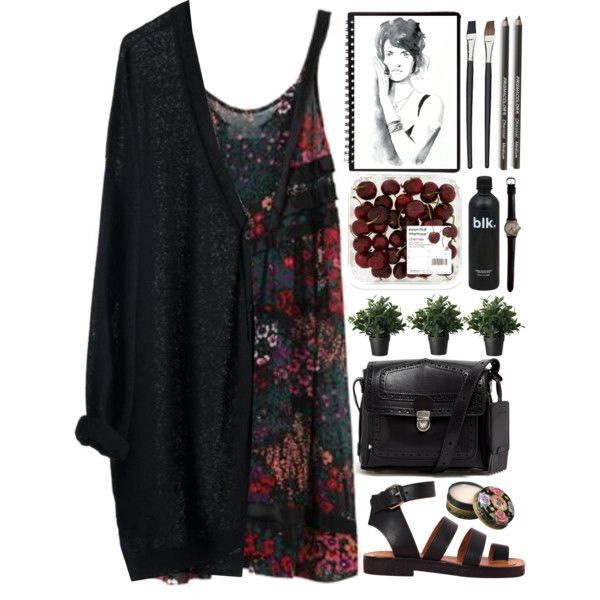 I have seen lots of critics on my Polyvore sets, as everyone was saying I have no idea about Bohemian look. Frankly speaking, I can't see where I was wrong. 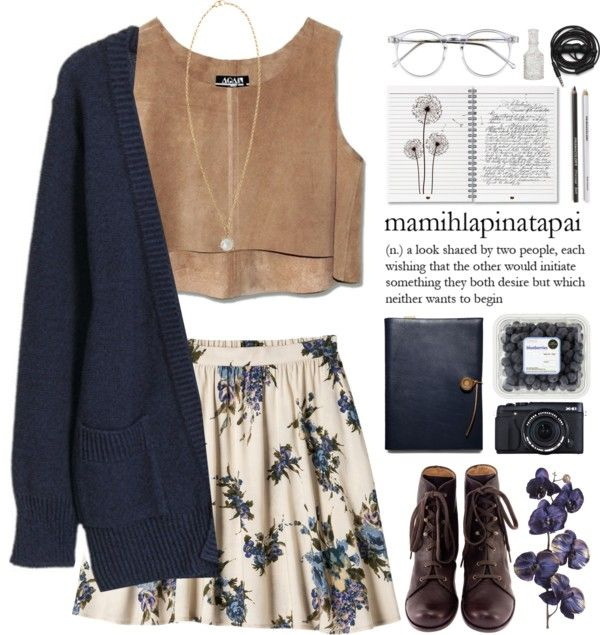 Stylists say, no matter how simple you want to keep things, just make sure you have that sweet looking hippie spirit. I mean, even the most casual outfit can be changed into boho look, all you need is to go on layering, both on clothes and jewelry. There is nothing wrong in mixing & matching styles, people! This time I decided to make things a bit complicated and share with you stand-out looks. 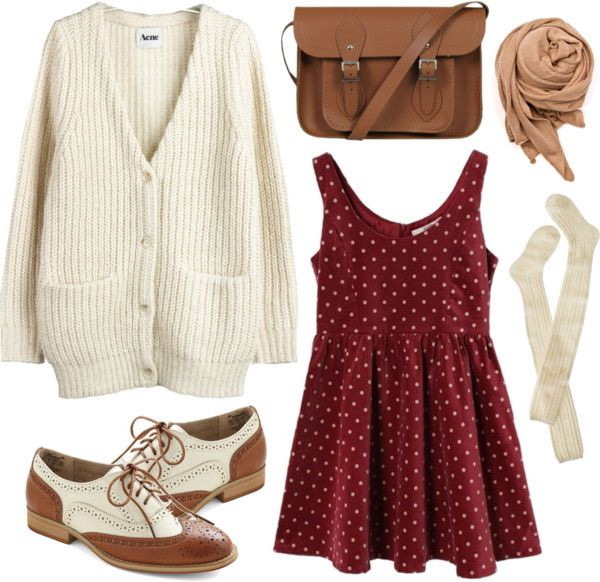 This one looks girlish and vintage inspired. 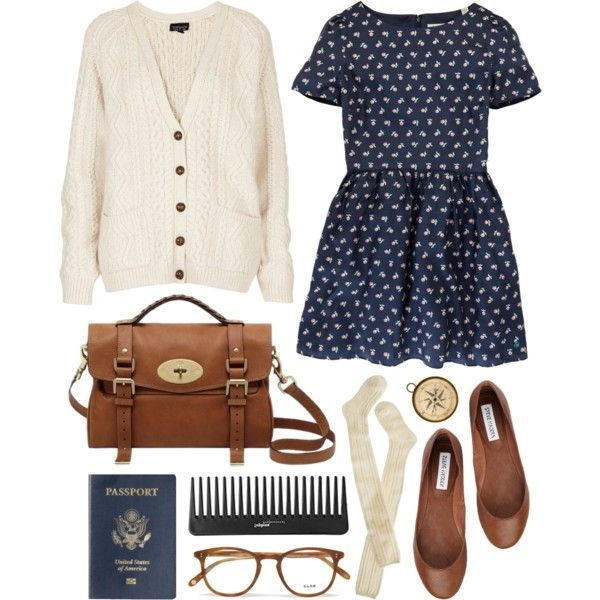 We see navy sweet-looking short dress, cream-white buttoned cardigan, knee-high socks, brown leather flat-pumps, satchel brown leather bag and nerd eye-glasses. 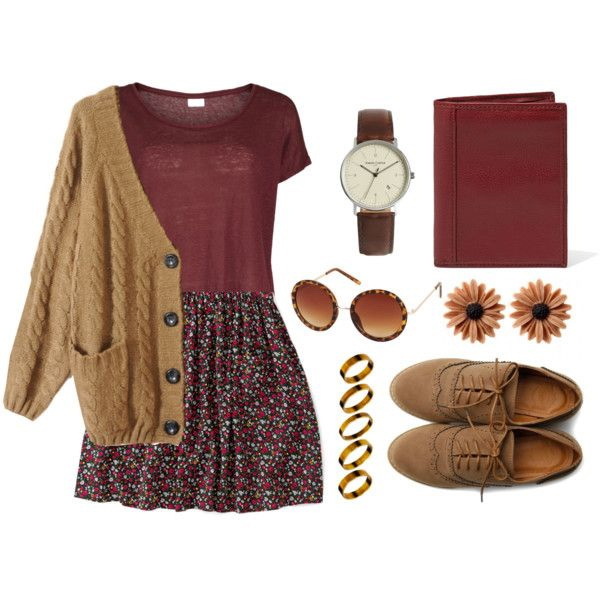 This outfit is ideal for casual weekends and school days. Before creating your own outfit, you have to think of a free-spirited look that has both 1970's details and romantic touches. Sure, it's complicated to think of these things, if you have no idea of what is this. The idea is to add some bold style choices that you didn't use to wear before. I mean, all those crop tops, layered jewelry, floral headbands, etc. 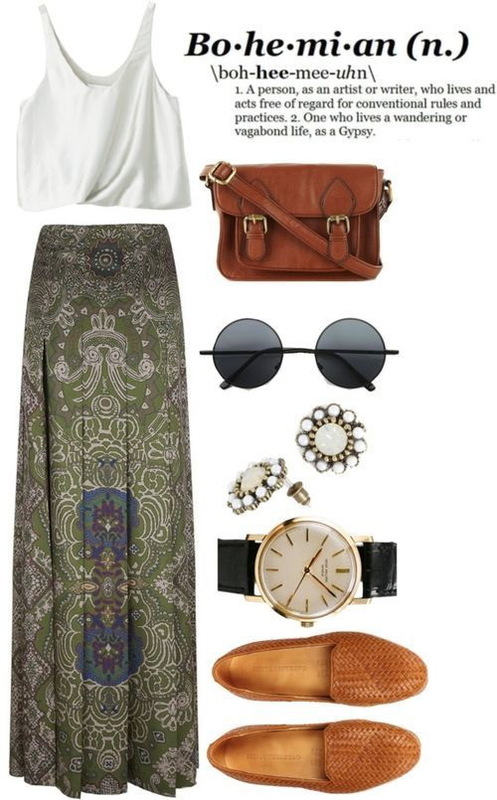 All you need is to bring a little bohemian flair into your everyday wardrobe. Start from layering. 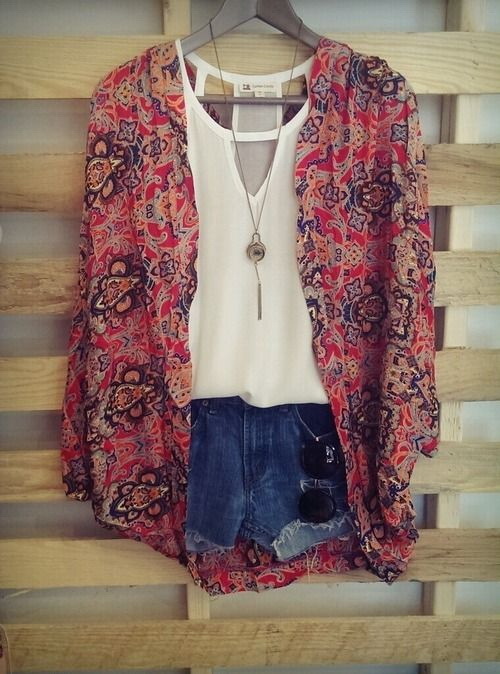 It's a key to boho look. 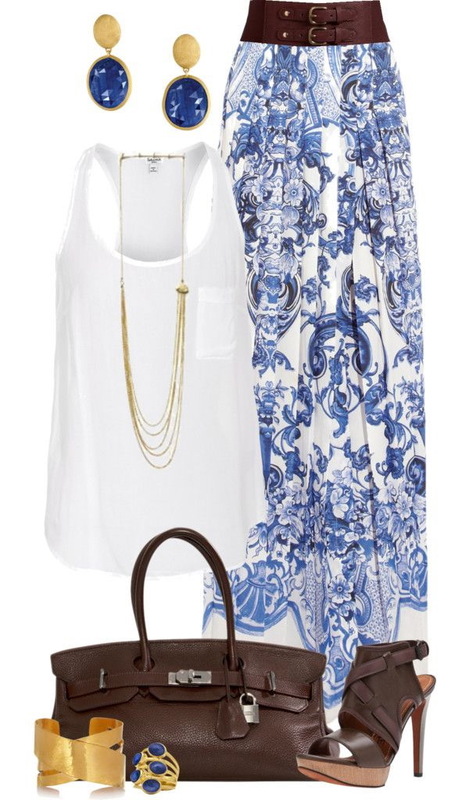 You can rock a lightweight coat over long skirt and printed top. You can keep things relaxed and oversized, by playing with your proportions: baggy bottom- fitted top and vice versa. As I have already mentioned, you can keep things flirty and sweet-looking by adding a flower crown. This accessory can be seen on bloggers and fashionistas on various music-festivals, but you can use it in your everyday life. Believe me, even if you are dressed sporty or simply casual, you can still create a boho look thanks to statement accessories. All you need is a pair of cool sunnies, statement necklace, bangles, etc. Those of you who wants to show off your wild side, then I recommend to add fringe details and accents. Go for a cool kimono sweater that is completed with fringes or cool boots with suede fringes. The last but not least is lace. Lace detailing can be found on dresses and accessories. You can either go fully in lace or use it in your accessories, boots or hats.